PEGs (polyethylene glycols) are a useful group of compounds with a variety of applications. PEG’s (polyethylene glycols) are a useful group of compounds with a variety of applications depending on molecular weight and starter material. A specialized type of these are what we endearingly call “XPEG’s”, the “x” representing a variety of letters depending on the initiator. One of the original XPEGs, manufactured for decades, is MPEG, or methoxy polyethylene glycol. It, and the other XPEGs, are raw materials for high-performance concrete admixtures that can significantly reduce water usage, control curing rates and increase concrete strength. 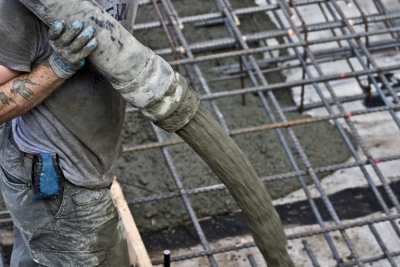 These modified concretes are used in highly demanding applications such as sky-scrapers and high-speed rail. Since the introduction of MPEG, much investment has focused on finding alternative initiators that meet very specific performance criteria. These newer XPEG’s include APEG (allyl alcohol), HPEG (isobutenol) and TPEG (isoprenol), among others. Buss ChemTech has kept pace with these innovations: it’s Alkoxlation Technology, based on the Buss-Loop® Reactor and originally patented three decades ago for producing non-ionic surfactants, can also be used to produce polyols, including these newer specialty PEG’s. Even existing plants can be readily adapted to produce these products. Our safety concept, flexible plant design and process expertise still set the standard for today’s alkoxylation facilities.